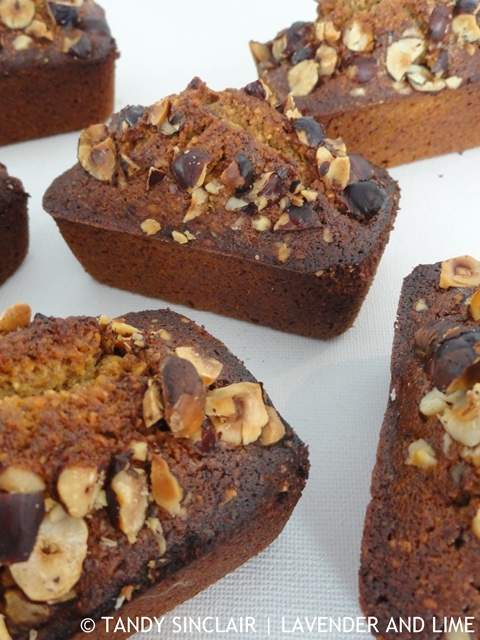 Using browned butter which has the nutty taste of hazelnuts, I made these brown butter hazelnut financiers. The taste was really amazing and I would so make them again. Like any good food blogger I jot down recipe ideas as they come to me. Over the years I have accumulated a number of note books. I find the closest one to where I am at the time inspiration strikes and write down the name of the recipe. Sometimes I go so far as to write down the ingredients. But mostly it is a one word concept such as framboisier. Sometimes I page through the book and have no idea what I meant. Yesterday I decided there were far too many books lying around. I have a spiral bound notebook with lined pages and sat down and wrote out every recipe concept. I discarded one that I could not remember what the idea was meant to be. And I tossed out a few I know I will never make. I have set myself a target of gettting through these recipes. Over and above my own concepts, I have recipes I have torn out of magazines. These also needed a good second look to see if I will ever make them. Over the weekend I went through these and found an article on 48 hours in Amsterdam. Last year when my friends were heading there I told her I would let her have the article. However, I could not find it where I thought I had filed it. Of course this is of no use to her now, but it might be in the future. Same as like the idea of using browned butter in a recipe. 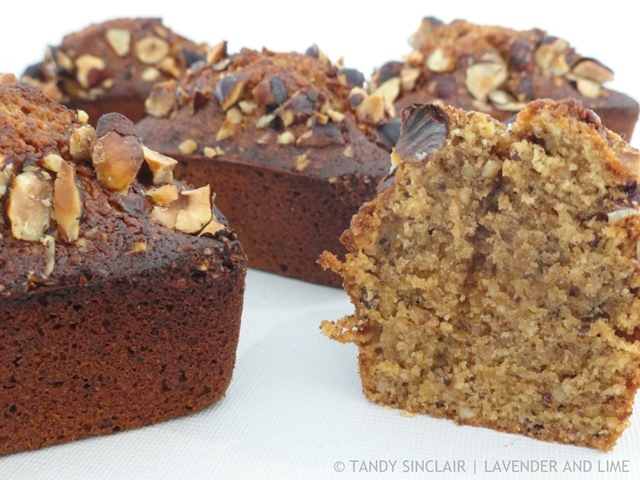 I kept pushing aside the concept of these Brown Butter Hazelnut Financiers to make other sweet treats. Browned butter has the taste of hazelnuts, so using them with the dry ingredients seemed logical. Dave and I are away for motor racing. We will be back at work on the 26th of February. Oh my, Tandy, these looks delicious! I love hazelnuts. Thank you for sharing. They were slightly burnt at the edges. These sound really nice, Tandy. YUM! 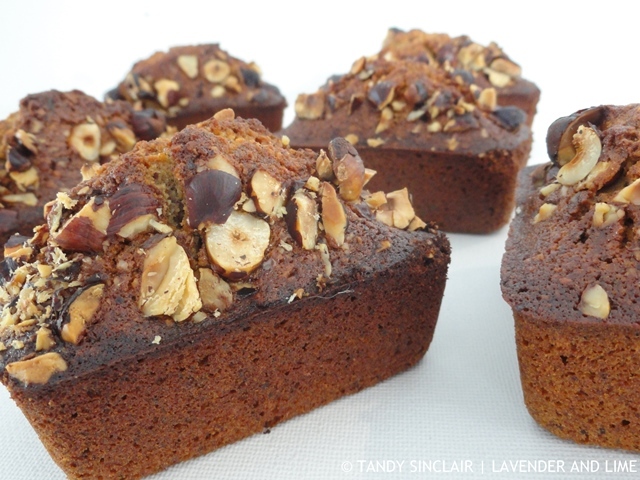 I haven’t heard of financiers before and I love being turned on to something new! I’ve also never cooked with hazelnuts before so I’m all kinds of intrigued by this recipe, it looks mouthwatering! These look incredible delicious Tandy! I have never read a recipe before that involved hazelnuts before, love it. They are so tasty. Did you know though that where I live, they are so much cheaper than macadamia nuts. And the nut manager at our local grocery chain told me that people dishonestly label their macadamia nuts as hazelnuts to save 1/3 the price. People can be terrible! That is so dishonest and theft. The poor grocer. And then people complain when prices go up! These are so cute! I’d be hard pushed to stop just eating one! We devoured the whole lot in one day!